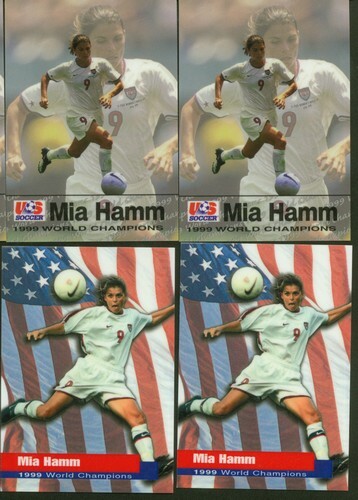 Officially licensed US National Soccer Team 4 Card Soccer Lot of Mia Hamm. There are two cards each from the Champions and Premier Sets. These two sets were made to commemorate the USA Soccer Team that won the Gold in the 1999 Women's World Cup of Football (Soccer). She is considered the greatest women's soccer player of all time. 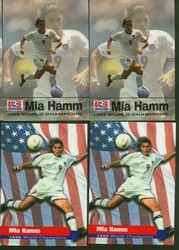 Mia Ham cards will always go up in value. Very Limited Production from Roox Sports!